Fringe is over! But if you haven’t flung yourself into traffic already at that news, good for you! There’s still theatre going on to make the long wait until NEXT Fringe a little more pleasant! THE COMEDY OF ERRORS at parks across the Ottawa area, from A Company of Fools. 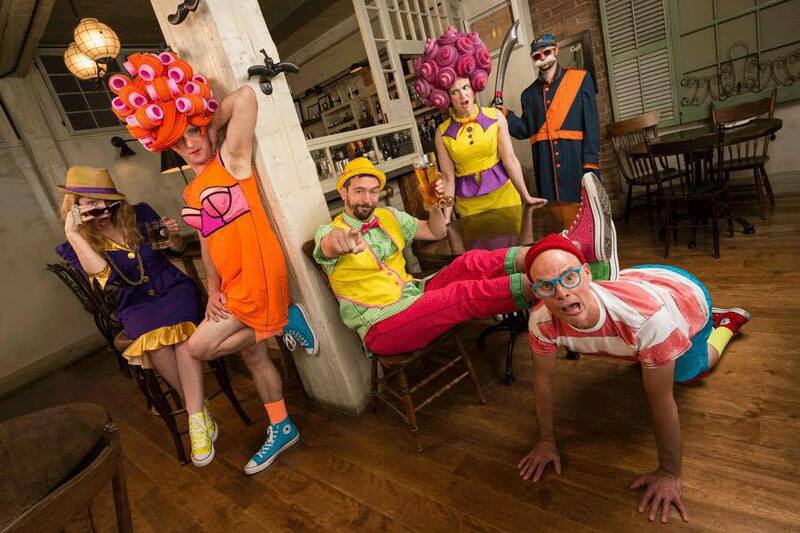 Torchlight Shakespeare hits the quarter century mark in Ottawa as the Fools take on Billy Shakes’ classic comedy of mistaken identity (well, one of his many classic takes on that notion). Starting July 2nd at Strathcona Park, and playing somewhere near you in the weeks to come! Check their website for full event times and places. 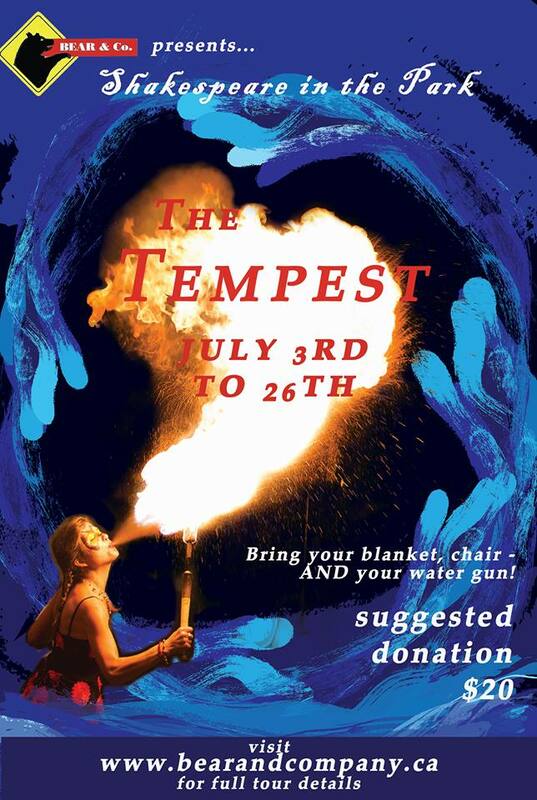 THE TEMPEST at parks across the Ottawa Area, from Bear and Co. It’s double the park fun this year as Bear and Co. returns to summer touring with a new look at Shakespeare’s fiery fantasy. From July 3rd to 26th. Check their website for a park near you! 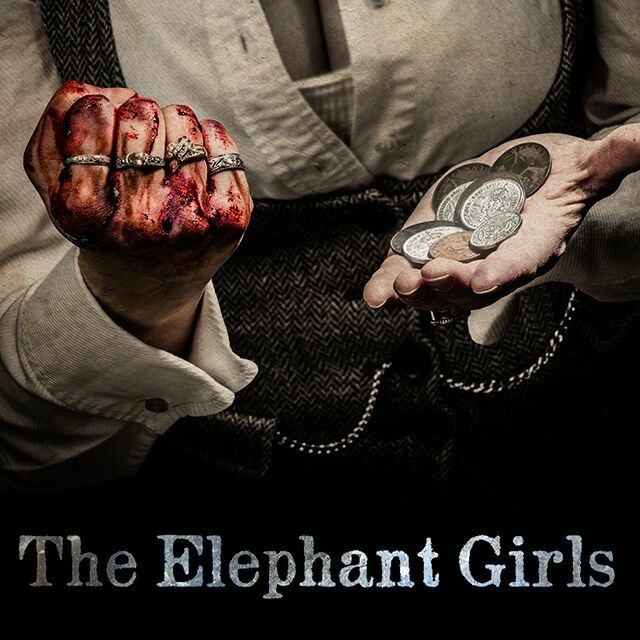 THE ELEPHANT GIRLS at Arts Court Theate, from Parry Riposte. Did I say Fringe was over? Because not for Margo MacDonald, whose runaway hit is back for two nights only on the 9th and 10th! 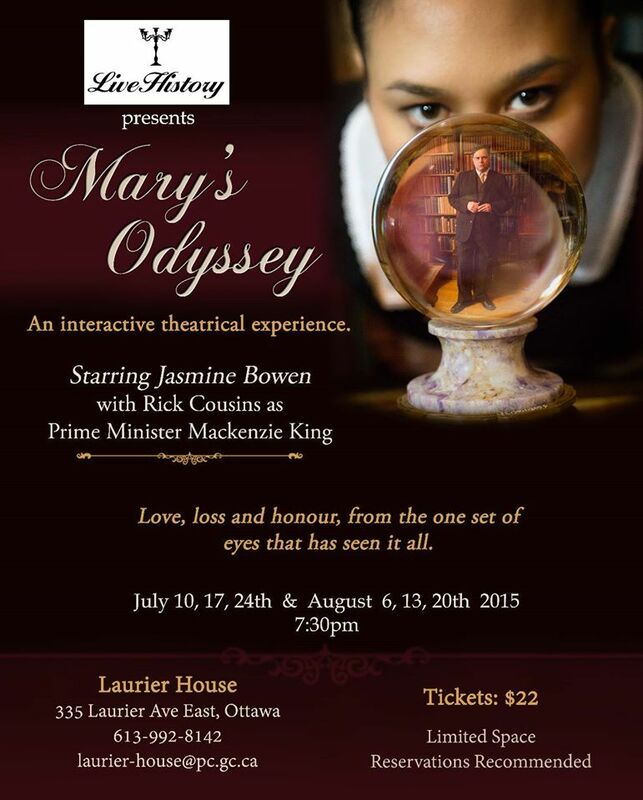 MARY’S ODYSSEY at Laurier House, from Live History. 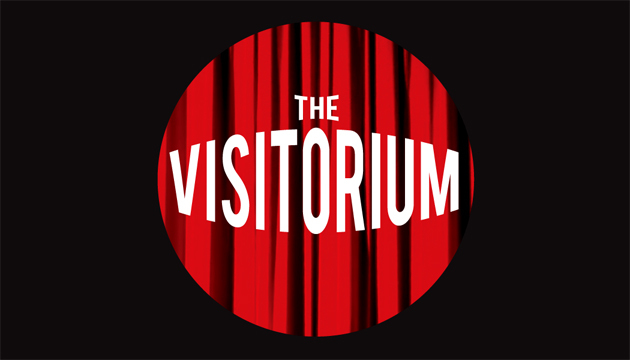 An intimate, site-specific theatrical history lesson/mystery at one of Ottawa’s coolest venues. On the 10th, 17th and 24th and into August as well. Limited seating! BEDTIME STORIES from Ottawa Little Theatre. 6 bed-related tales in a surefire crowd-pleaser from Norm Foster. From the 14th to August 1st. ROMEO AND JULIET and THE COMEDY OF ERRORS from St.Lawrence Shakespeare Festival. Just outside of Ottawa, the classic outdoor summer festival is gearing up with two classix, directed by Jan Irwin and new Festival ADD Rona Waddington! From the 18th to August 22nd. 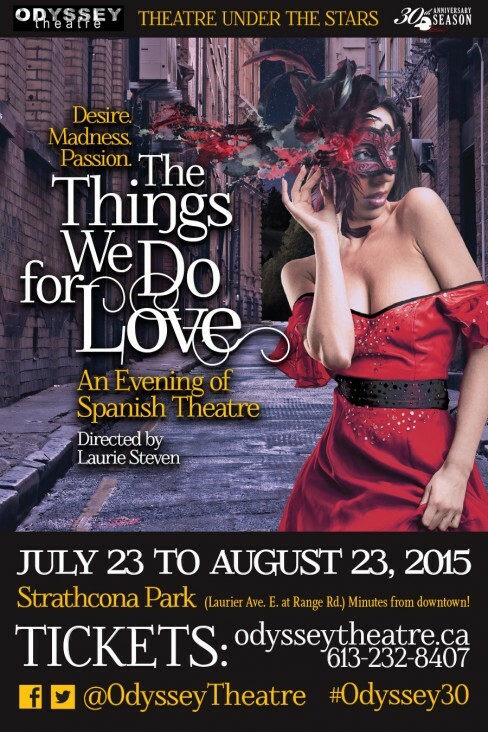 THE THINGS WE DO FOR LOVE at Strathcona Park, from Odyssey Theatre. Still more park action!! This time Odyssey theatre goes Spanish with a collection of short shows in once evening, from July 23rd to August 23rd. 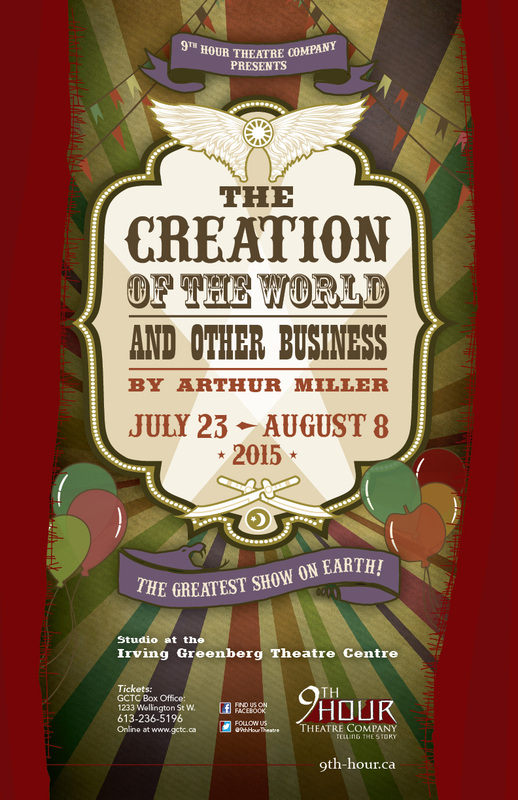 THE CREATION OF THE WORLD AND OTHER BUSINESS at the GCTC Studio, from 9th Hour Theatre. A biblical tryptych from that Salesman fella. From the 23rd to August 8th! I’M NOT JEWISH BUT MY MOTHER IS at the Gladstone. A new comedy from the Gladstone gang, from the 28th to August 8th. TOC TOC at Theatre de L’Ile. From the 8th to August 29th. ‘BOUT TIME at Mother McGintey’s, from Crush Improv. A special Brooke-centric edition of BT as local comedy heroine Brooke Cameron makes her Crush farewell before leaving town to cure brain cancer (or create a new and improved version of brain cancer…I’m sure she’s equally qualified for either endeavour). Catch the team vss.team action with Brooke on BOTH sides. One for the ages, folks. Monday July 6th. THE EFT-UP EXPERIMENTAL SHOW at Pressed Cafe, from Experimental Farm Theatre. 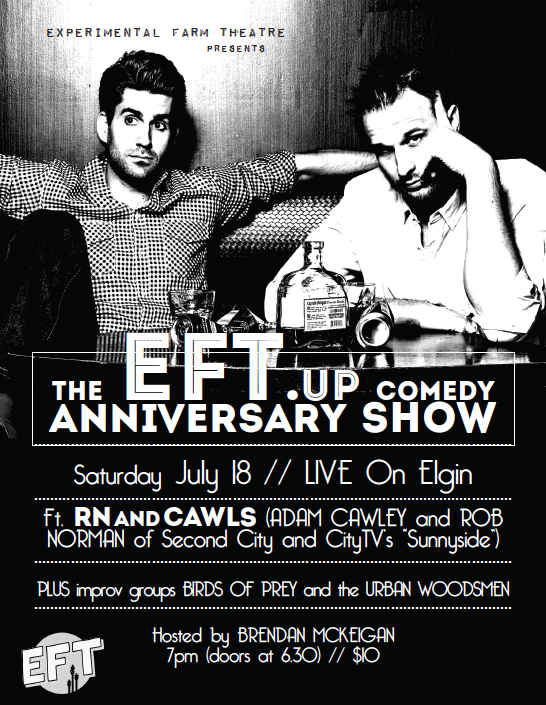 The Eft-Up gang are back at the improv (after a rocking good run at sketch comedy at the Fringe festival) at their regular hangout, plus an extra ANNIVERSARY SHOW later on at LIVE on Elgin, on the 18th. Celebrate the Farm’s first year in Ottawa, with plenty of special guest stars! Also, it’s Victoria’s birthday and we love Victoria.